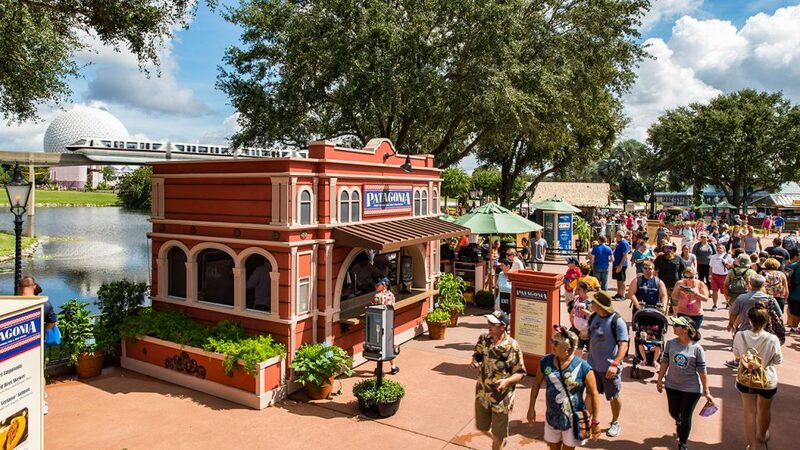 1) Arguably the biggest culinary festival in the nation, Epcot’s 23rd annual International Food & Wine Festival at Walt Disney World in Orlando tempts taste buds from Aug. 30 to Nov. 12. The event features 30 international marketplaces that offer tastes of food and beverages from around the world, culinary demonstrations by Disney chefs and guest chefs as well as seminars and special tastings, dinners and parties. Additionally, the festival features “Eat to the Beat” concerts in the America Gardens Theatre in the U.S. pavilion in the World Showcase section of the park. The concerts, culinary demonstrations and book-signing sessions with chefs are included in the cost of admission to the park. Special events, including the Party for the Senses with dozens of tasting stations, require a separate ticket. 2) The Wine & Cheese Festival is an annual event at the Lakeridge Winery in Clermont on Sept. 8-9. The event celebrates cheeses and offers live music and a variety of foods and beverages. There is a nominal admission fee, but wine and cheese tastings are complimentary. 3) Smoke On The Water BBQ Feast & Competition (I don’t know about you, but my mouth is watering already!) is an annual festival on Esplanade Park in the Riverwalk area of Fort Lauderdale on Oct. 20. The event, from 11 a.m. to 6 p.m.includes chefs competing to put on the best barbecue and offers a variety of food and beers. 4) Destin’s Seafood Festival, marking 40 years in 2018, celebrates the bounty of the sea on Oct. 5-7. It takes place at the Destin Harbor Boardwalk and offers, in addition to fresh seafood from the Gulf of Mexico, arts and crafts booths, music and family activities. Admission is free (donations are welcome). 5) St. Augustine’s Greek Festival, Oct. 12-14, offers the flavors and aromas of Greek foods – baklava, anyone? The fest, sponsored by the Holy Trinity Greek Orthodox Church of St. Augustine, also features Greek music and dances and an activities area for kids. 6) The Annual Seafood Festival in Pensacola serves up a variety of delicacies from the sea on Sept. 28-30. Among the offerings are oyster croquettes and coconut shrimp. The festival, on Seville Square in the heart of Pensacola, also features more than 150 arts and crafts booths, music and culinary demonstrations. Admission is free. 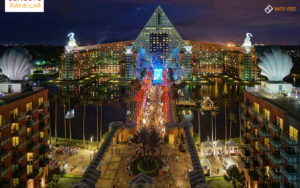 7) The 9th Food & Wine Classic is a popular festival at the Walt Disney World Swan & Dolphin in Orlando on Oct. 26-27. It offers the Causeway, an open-air area with more than 60 booths to taste specialties from the resort’s 18 restaurants and bars as well as wines from more than 30 vineyards. Three additional areas have carnival, China and Beer Garden themes – and this year there is a novelty: a Hawaiian luau area. The festival also offers a variety of seminars and tastings. On Oct. 28, there is a Sunday Bubbles Brunch with culinary specialties and champagne at Il Mulino New York Trattoria, one of the resort’s restaurants. 8) Everybody can be German during Oktoberfest Miami, an annual event held the second and third full weekends in October. The event, put on by the German-American Social Club on Miller Drive, features German beers, foods and music with the participation of bands from Austria and Germany. There are activities for children. 9) The 55th Annual Florida Seafood Festival in Apalachicola offers delights from the sea along with music and crafts on Nov. 2-3. Activities include oyster eating contest, crab races, blessing of the fishing fleet and a parade. 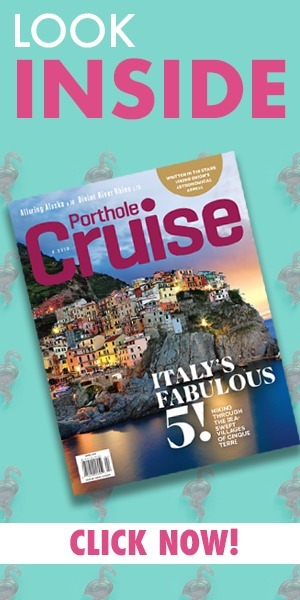 Whichever food festival you decide to launch, or conclude, your cruise with, always check event dates before planning as these are subject to change – oh, and bring a big appetite to the table!